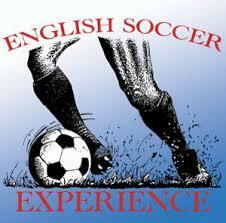 Welcome to our online listing for youth soccer camps in Arizona and surrounding areas (United States). If you host a camp and would like to list it on our website, please contact Garrett Cleverly at garrettcleverly@azyouthsoccer.org. CLICK HERE for more information. 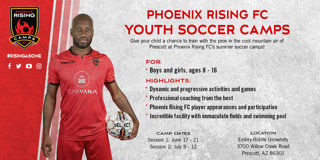 Phoenix Rising FC Youth Programs provide young players the opportunity to gain professional training. From foundational soccer skills to elite-level training, Phoenix Rising FC's year-round camps and training programs provide development in all areas of the game of soccer under the close supervision of our experienced coaching staff.